This entry is part 4 of 8 in the series Magento Projects. Earlier posts include Magento Module List Module, Magento Configuration Search, and Layout Unremove 1.0.1: Fix for Caching Bug. Later posts include Reference for Magento Block Action Methods, Django Routes with Magento and Simple Page, Tar Archive to Magento Connect, and Magento TinyMCE and HTML5. Every so often a theme developer will ask if it’s possible to use the local.xml layout file to reverse the effects of a <remove /> tag. Unfortunately, this isn’t possible out of the box with Magento. Once a block has been removed there’s no layout XML command that will restore its output. 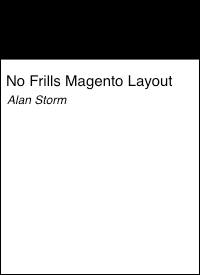 Fortunately, Magento’s layout system includes the right event hooks to allow you to implement this functionality yourself, so I’ve gone ahead and created a simple Layout Unremove extension. The new extension is pending release on Magento Connect, and I’ve made the package available here as well. The Layout Undelete extension is released under an MIT open source license, which makes it free to use and incorporate in your own projects. The tag name to use is <x-unremove name="left />. The name attribute should be the name of the block that has been previously removed. I’ve also recorded a quick screencast which covers basic usage. You’ll want to click the “full-size” button to see what’s going on in the video. This isn’t a magical panacea, it’s an experiment. Most existing themes will have removed a section from the layout for a reason, and adding it back in without making appropriate CSS and layout adjustments may result in undesired layout effects. That said, I hope you find it useful and I welcome any feedback you may have. I’d love to hear if you’re using it in a free or commercial theme.